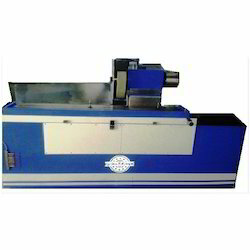 Our range of products include needle grinding machine. We are offering Needle Grinding Machine to our clients. Both Moveable Slides are fitted with precision ground ball screws, end support bracket with p4 grade matched pair anti-friction bearings of two pairs for positive repetitive accuracy. Servo motor ball screw is directly coupled with imported coupling for better repetitive accuracy.